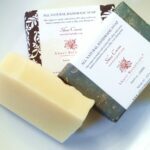 Aburi Botanicals soaps are handmade and hand-cut vegan soaps created with all-natural ingredients. 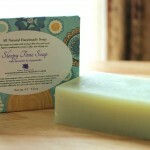 No artificial colors, chemicals, or fragrances are used. 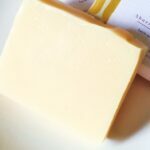 We utilize the traditional cold-process soap making method, working only in small batches to assure that each bar is lovingly created with the highest attention to quality. 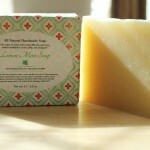 After the soap is made, it is left to cure for a few weeks. 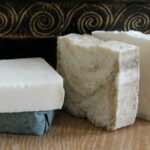 The outcome is a rich and gentle bar of soap that retains the nourishing properties from the fine oils we use in our soap as well as the natural glycerin produced in the soap making process. 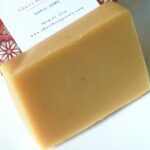 Each bar is made with olive oil, coconut oil, castor oil, and at least 30% shea and cocoa butters (combined). 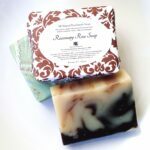 These are extremely moisturizing oils that have been used for millennia to nourish, soften, and rejuvenate the skin. 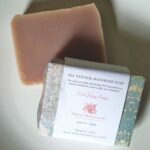 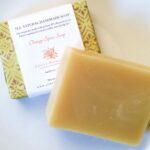 Plants and essential oils including relaxing lavender, soothing calendula, and stimulating rosemary are added to the soap for their own individual properties and for their aromas. 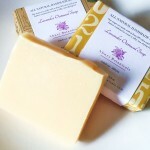 The end result is a luxuriously indulgent soap made to treat yourself and your body. 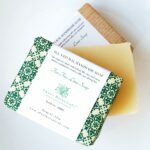 Finished bars are hand wrapped in colorful printed paper and make great gifts for loved ones, friends, or yourself!